I don’t know about you but I am so ready for the CHRISTMAS holiday/vacation to start NOW!!! I think its just the last home stretch that is so tiring. My oldest daughter is having her EXAM this week but her schedule is only 10:30-12:30 pm everyday this week and half of next week. The only problem is that its so hard to find someone to drop her off and pick her up. So, this week I am trying to make food that its easy for her to eat in the am and after school that is easy to assemble and all she has to do is stick it in the microwave. 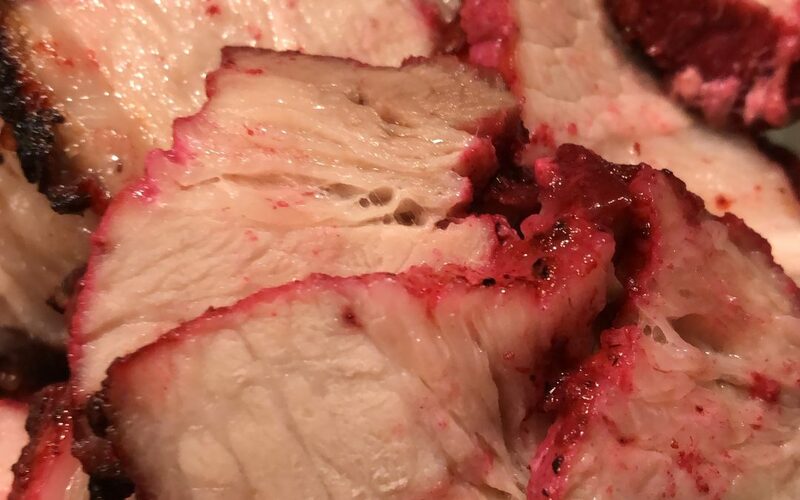 I make a huge batch of these char siu pork that she can just add it to a bowl of rice or in a baguette. In a medium size bowl…mix all your seasonings together…make sure to stir well so all the seasoning is nicely incorporated. 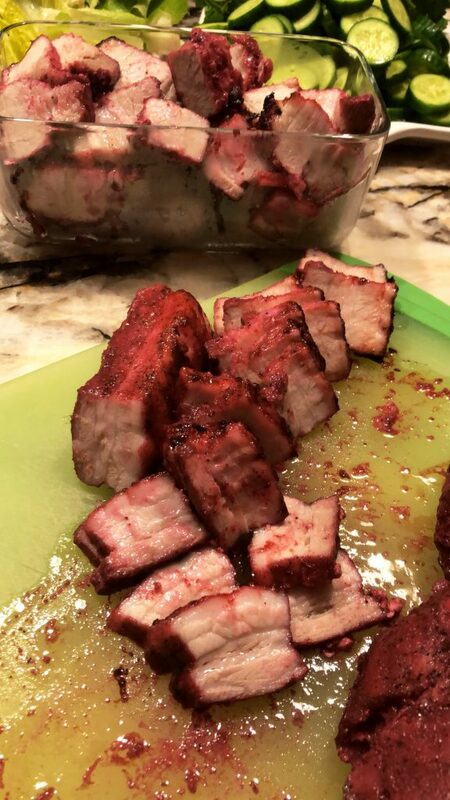 Next, taking a LARGE ZIPLOC bag and add in the pork belly and then pour the marinate over. Zip the bag tightly. Refrigerate for at least 3 hours…over night would be better. Garnish with some chopped green onions. You can eat it inside a baguette or on top of a bowl of jasmine rice.